I recently spent ten wonderful days with my five-year-old grand-daughter, Orly, who lives with her parents in Cincinnati. 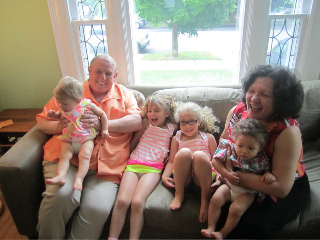 During her time in Vermont with “Grammy” and me, we drove to New Haven and spent the day with our other grandchildren: Annie (age 4), and Sammy and Isabel (age 13 months), whose family had just moved to the East Coast from Los Angeles and will be here for a year. What a delight it was to be with all our grandchildren at one time. What struck me most was how each child had grown and developed since the last time I saw him or her. They wowed this Grandpa with their accomplishments. 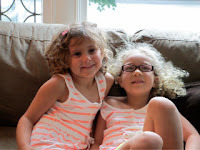 At the core, there was still the personality I had come to know in their infancy, there was a breathtaking maturity in their relationships with others and in their cognition—particularly in the cases of Annie and Orly, who quickly became good friends. Both girls have expanded their interests (and talents) in art, science, creative play, writing, social interactions and so much more. I loved every moment with them and look forward to watching and participating in their continued growth and development. 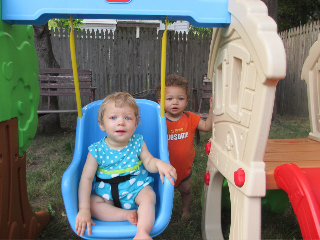 Just as my grandchildren have grown, RCC keeps growing and developing and shaping its unique persona in Rockland County.